Swimmers need to demonstrate interest in a program in order to attract the attention of the coach. College swim coaches want to know if a swimmer is interested in the program as they don’t want to spend time chasing a recruit who doesn’t want to attend the school. There is a lot of competition to swim in college and coaches will devote more time and energy to swimmers who are likely to say yes if an offer is extended. There are many ways for swimmers to show interest, although some may involve going outside of their comfort zone. Swimmers who contact coaches show a lot more interest than those who simply wait to hear from coaches. The primary way of contacting coaches is through email. An introductory email is a good start, followed by regular updates after big meets and when best times are achieved. This is exactly why I provide members of College Swimming Guide members with sample emails to send coaches as well as a suggested frequency for contact – to make it easier for swimmers to get this rapport started. There’s a fine line here as your swimmer doesn’t want to reach out so often as to be obnoxious but wants the coach to remember him. Once a dialog between the coach and the swimmer has been established, swimmers will find it easier to email coaches. Swimmers who are interested enough in a school to visit campus impress coaches. It’s a great idea to let the coach know you’ll be on campus and try to stop by to meet the coach and to see the facilities. Depending on the age of the swimmer and the division of the school, coaches may not be allowed to reply to emails. In some divisions, coaches can speak to prospective recruits visiting campus, regardless of age. In other divisions the coach can’t speak to a swimmer until after September 1stof junior year. Let the coach know what time you’ll be there and they may arrange to be around to meet you even if they didn’t reply to the email. This happened to us when my son was a sophomore in high school. It was a Division I school so the coach couldn’t reply to his email but, at the time, he was allowed to speak to sophomores visiting campus (the current rules say Division I coaches can’t speak to recruits until junior year). We told him we’d be arriving at the pool at a certain time and the coach was there and spent about 20 minutes chatting with us. We were so glad that we happened to give him our time of arrival, and that we stuck to our schedule! Coaches want to recruit swimmers who can score at Conference Championships so if a swimmer fits into the Top 16 in Conference Champs, a coach is far more likely to be interested. Swimmers need to research conferences in order to determine where they fit. After finding some realistic conferences, the swimmer should research the individual schools within the conference to develop a list of target schools. These are the coaches they should contact. Researching programs takes some time so I compile spreadsheets each year for College Swimming Guide members so they have quick access to the times for all Conference Championship Meets as well as Top Event times at all college swim programs. This makes the research process more efficient, which allows them to research as many programs as needed to get to those that are the right fit. It’s a good idea to re-evaluate the list of target schools from time to time especially if coaches are not responding. When talking or emailing with a coach, the swimmer should ask questions. This shows interest plus helps the swimmer determine whether or not the program will suit him. If a swimmer is looking for a close-knit team with a family feel and the coach says that the team doesn’t really socialize together outside of practice, the swimmer may decide to look at other programs. If a swimmer asks a question in an email, then asks a follow up question when talking to the coach on the phone, it shows that the swimmer was listening and wants to know more about the program. If a coach emails or leaves a phone message, the swimmer needs to respond in a timely manner. Coaches understand that high school students are busy but they will quickly lose interest and move on to another recruit if it takes a week to receive a reply. If a swimmer is in the middle of midterms or traveling for a swim meet or has another big conflict, he can reply by saying “I have a travel meet this weekend and will update you next week after the meet” or something similar. The bottom line is that the swimmer must respond. Just like anybody, coaches have varying styles of communication and some will be easier to talk to than others. Swimmers should participate in the conversation, whether it is via email or on the phone. A swimmer who gives one-word answers is not very easy to talk to and a coach may decide to spend his time on a recruit who seems to be more interested. The tone of the conversations with coaches will help give the swimmer an idea of the level of interest from the coach. Some coaches reply “thanks, keep us updated” to every email they receive but this doesn’t indicate sincere interest. Coaches who are truly interest in a recruit will try to get to know them as a person in their conversations and to build a relationship. Coaches may ask your swimmer how many schools you are planning to visit or are talking to as they are trying to assess your true interest. I asked the coaches at all of the college swim programs in the U.S 15 questions ranging from what they’re looking for in a swimmer to when they want swimmers to initially contact them. 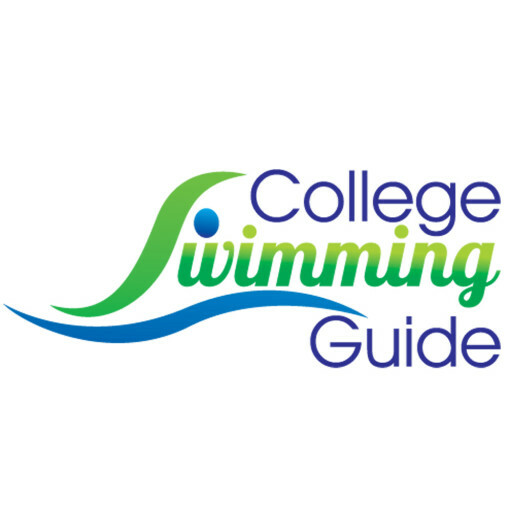 This Directory of College Swim Programs is available to College Swimming Guide members and includes information such as average standardized test scores, acceptance rates, and undergraduate size plus answers directly from college swim coaches. Again, this makes research more efficient having it all in one place, and helps swimmers position themselves when talking to coaches and to show interest based on what the coaches are seeking. It’s a good idea to develop a relationship with more than one coach at a school although this is sometimes difficult if only one coach handles recruiting. Most coaches are easy to talk to and know that swimmers can be nervous so they make small talk to put them at ease. With a little bit of practice and the right information, swimmers will find it easier to hold a relaxed conversation and to demonstrate their interest in a program. Michelle Lombana is committed to helping parents like her whose children want to swim in college. When she’s not researching information for swim time spreadsheets, she is helping members at www.collegeswimmingguide.com.